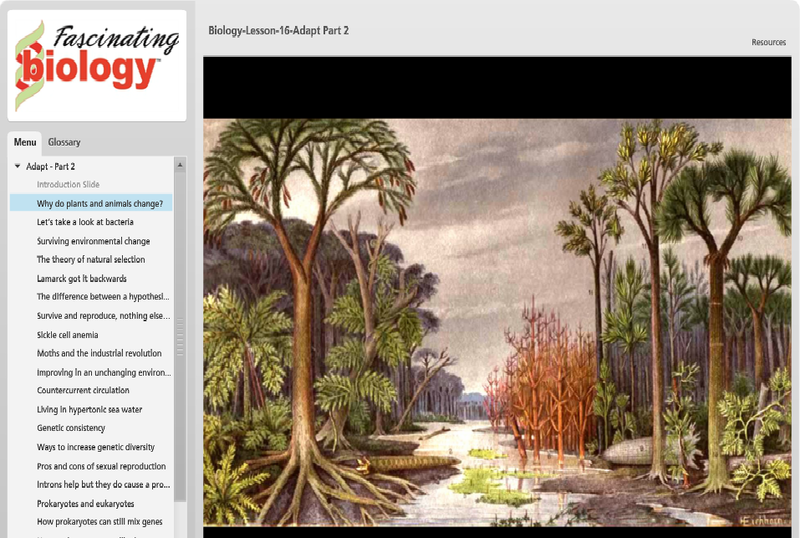 We received a full year of online access to Fascinating Education's Fascinating Biology course to review. 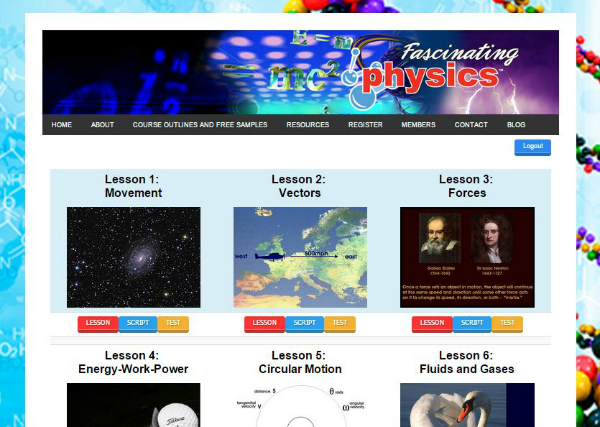 They have two other courses available: Fascinating Chemistry and Fascinating Physics. These courses are intended to be used by middle school and high school students, however an adult or younger child could still certainly use the courses. As my children are much too young for the Fascinating Biology course, I used the course. Dr. Margulies is a neurologist who created a unique science curriculum for middle school and high school students. Being a neurologist, he understands how the brain works; including how we learn, how we focus our attention, how we retrieve information, and how emotion and motivation affect learning. 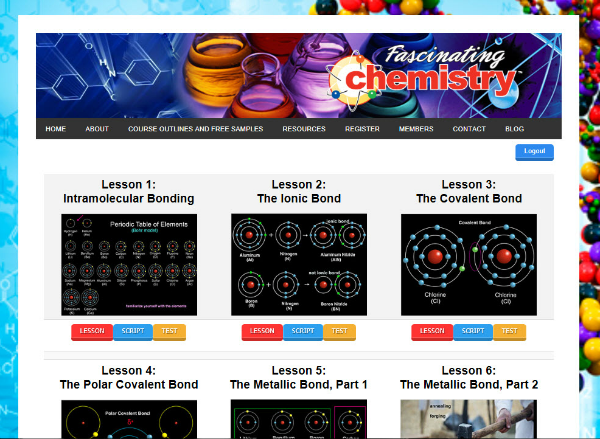 He used this knowledge to create three engaging audiovisual science courses for students: Biology, Chemistry and Physics. Dr. Margulies is the author of The Fascinating Body - How it Works, Everyday Doctoring, and Learning Law - The Mastery of Legal Logic. It has been several years since I last sat in a biology lab, though luckily biology was one of my favorite classes, and I retained much of what I learned. I used the course mainly to brush up on my biology knowledge, especially because science is my daughter's favorite subject and she always has questions. Occasionally I don't have an answer. But one of the parts of homeschooling that I like most is re-learning information and/or learning new stuff, while teaching my children. One of the great aspects of this course is that you do not need any prerequisite knowledge of biology. 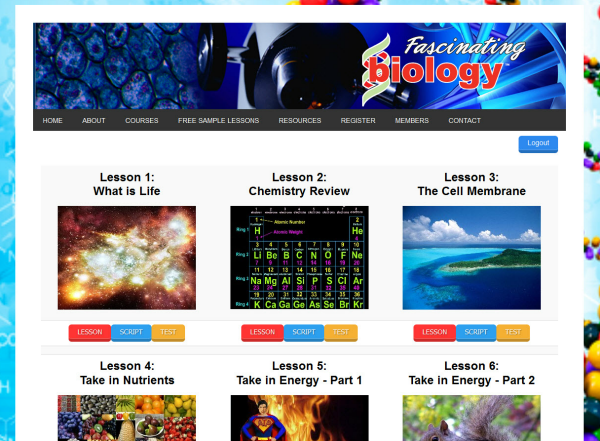 The course will teach you the basic principles of biology. They will learn the components of life: cell membranes, nutrients, chemical energy, growing, repairing, reproducing, maintaining stable internal environments, and adapting to external environments. 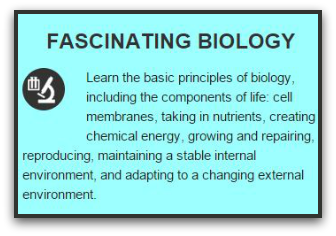 Check out the course outline to learn more about what is included in the Fascinating Biology course. The lessons are set up in a table and there are 19 lessons total. You can easily navigate between the different lessons. Each lesson comes with a text script and a test. Parents and teachers can download the tests and answer sheets if they would like them hand-written. I honestly skipped over the tests because I never much liked them growing up. I watched the video lessons using my laptop and typically viewed the text scripts on my tablet or in another tab (some people may prefer to print them for notes, but I prefer to save paper). The scripts go over each slide in the lesson. You can find each part of the lesson in the menu, which makes it really easy to find where you left off. For those inclined to take the tests, they are quite straight-forward. You can find the questions in order under the menu (on the left). Simply select "submit" when you have chosen your answer and it will move you on to the next question. 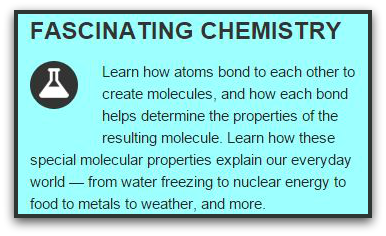 Here are a few sneak peeks at the Chemistry and Physics courses! 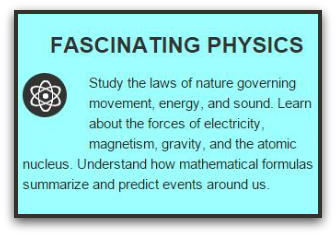 Surprisingly I never took Chemistry or Physics in high school. I was enrolled in both, but due to the large size of the class, they ended up cutting random students from the class. Once again, another great reason for why we homeschool: we love the convenience of choosing our own curriculum. We can learn whatever we want, when we want. Our overall opinion is that Fascinating Education provides a wonderful science curriculum for Biology, Chemistry and Physics. The courses are engaging, the lessons are easy to learn and if your child or student works at their own pace, they will not feel pressured when taking the tests. I would definitely recommend this program to middle school or high school students who want to learn more about science! Fascinating Biology is available for $79. You'll have access to the course for a full year. You can purchase a combination of two courses for $125. The best deal by far is their triple combo option - Biology, Chemistry and Physics for $175 and it gives you full access for two full years! If you have multiple students in different grades that is definitely the best option. 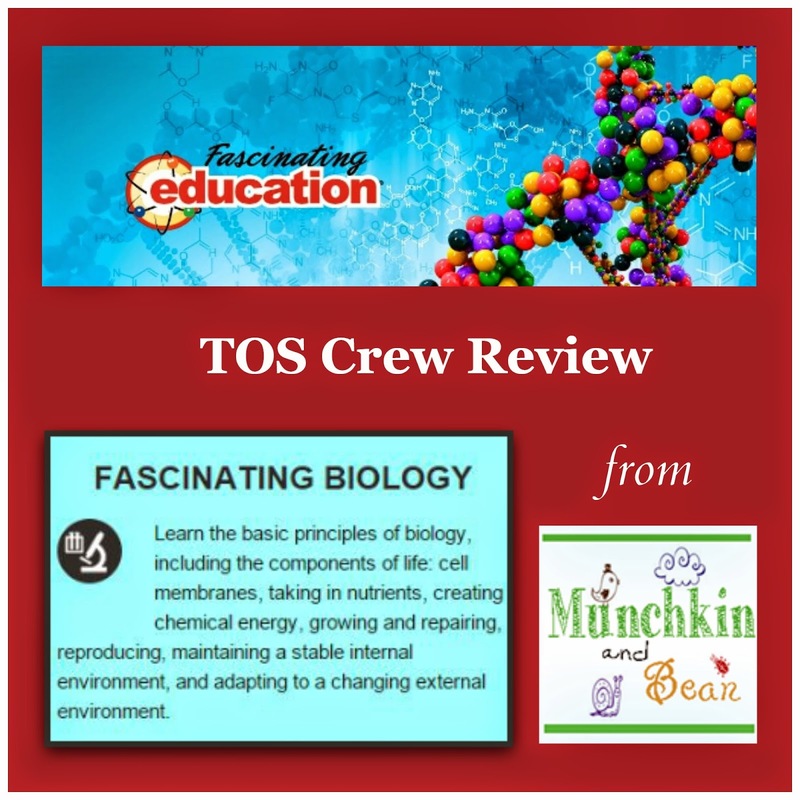 If you would like to read more reviews on Fascinating Education from the TOS Crew, click on the banner below!